VAUXHALL, AB – The Vauxhall Academy of Baseball is proud to announce National Partnerships with Easton Canada, of Kirkland, Quebec and Sports Connection (Source for Sports) of Medicine Hat, Alberta, the New Era Hat Company of Derby, NY, USA, and Rawlings Canada, again through Sports Connection. Easton Canada â€“ through Sports Connection – will supply the Academy with its official uniforms, baseball gloves, spikes, turfs, equipment and apparel. Over 100 Major League Baseball (MLB) players currently use Easton gloves and bats. Brian Bauman, the owner of Sports Connection Source For Sports in Medicine Hat, said he is thrilled to enter into partnership with the Vauxhall Academy of Baseball. 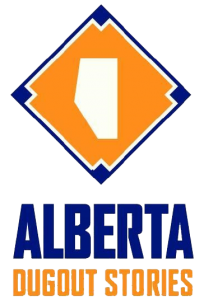 “We are excited to play a part in developing young baseball talent in Southern Alberta and ultimately Western Canada,” he said. New Era will be supplying the official headwear for the Academy. Academy players will be wearing the 5950 model, which is the same hat worn by all Major League Baseball teams. New Era also supplies the hats for Team Canada, many College Teams and the World Baseball Classic. The Academy will have 2 hats â€“ 1 maroon hat with a black/gold logo and 1 black hat with a maroon/gold logo. Rawlings will be the Official Baseball and Helmets of the Academy. Rawlings is a world leader in baseballs and helmets and is the official baseball of Major League Baseball. The Academy will use the Rawlings ROML model baseball for all games. ← Vauxhall Academy of Baseball Jets Proud to Introduce the 2006/2007 Team Roster!